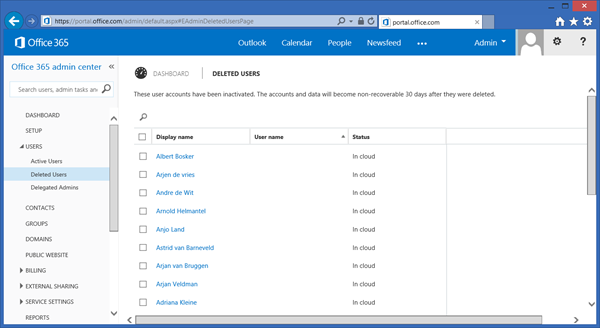 In the Portal it is not possible to permanently remove users, or purge deleted user accounts. This can only be done using Remote PowerShell. Please note that the Azure Active Directory Module for Windows PowerShell need to be installed. Click here to install this PowerShell module. When you check the Deleted Users in the Online Portal you’ll see that it is empty.